MOSCOW, Nov. 11 (Xinhua) -- Russia's average daily oil production in November will be about 10,000 barrels less than that in the previous month, Russian Energy Minister Alexander Novak said Sunday. "In general, in November the output is expected to be slightly less than the October level," Novak was quoted by Russian news agencies as saying. According to official statistics, Russia's oil production in October averaged 11.4 million barrels per day, approaching an all-time high. 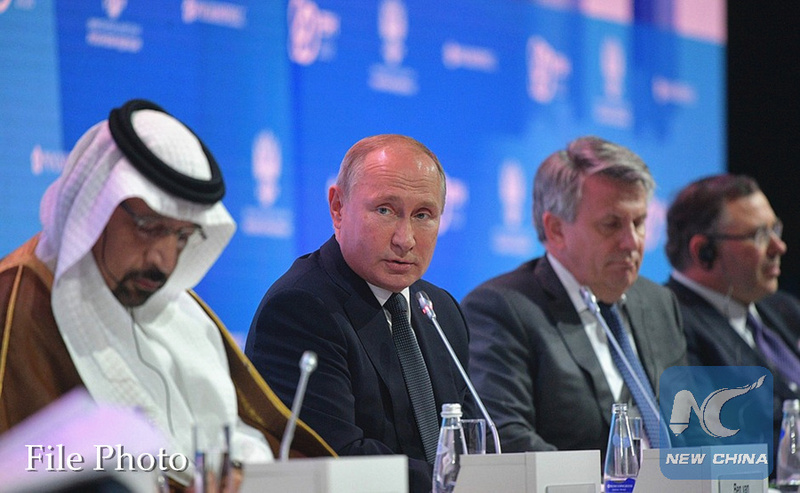 Russia has been increasing oil output in recent months, as allowed by a decision of the Organization of the Petroleum Exporting Countries (OPEC) and non-OPEC producers to resume production. The producers decided in June to stick to 100 percent conformity of the predetermined oil production cap, which expected an increase of oil production as the participants had reduced the output more than required in previous months.